The evolution of modern technologies in recent times has helped businesses to perform at an optimal level. Engaging in effective marketing strategies will help your business to grow. Even if your website is getting a lot of traffic, if it is not converting visitors to customers, then you need to do more work. Digital marketing campaigns, tools and methods provide businesses with the global best chances to compete, grow and survive. Experts say that about 46% of brands don’t have well defined marketing method, while about 16% have, but they haven’t integrated it into their marketing campaigns. Digital marketing is more beneficial than traditional or conventional marketing, because it helps you to identify your targeted audience. Both your existing or potential clients want you to identify with them when they are communicating with you. Interacting with your audience will enable you to know exactly what your audience wants. This is very important for you, it will help you to develop the right strategies, develop quality relationships and improve your customer experience. Digital marketing inspire people to take action that would be beneficial to their brands or businesses. The goal of a digital marketer is to use every possible means to compel visitors to convert into customers. Thus, your strategies here need to be innovative and smart. Call-to-action is one of the amazing ways you can achieve this. By engaging in call-to-action, you compel your audience to do whatever you want them to do- this can be signing up, downloading, buying etc. You need to construct a concise plan based on a set of careful analysis and assumptions. Without this plan, you may not be able to predict how your clients or customers will react or act. Therefore, there is need to continuously monitor and measure your digital marketing campaign. Use Google Calendar to create your timeline, you can easily share it with your team members, so that they can edit when and where necessary. Highlight the key campaigns you would like to create and promote them throughout the year. Periodically review your marketing strategy and identify the needed change. Creating a plan will enable you to select, budget and analyze your campaigns as well as your digital channels performance. You need a strong SEO strategy- this will help your business to gain visibility. SEO is something you should never ignore; instead you need to consistently make updates to ensure your website is optimized. The success of your website is measured by the volume of traffic it gets, or the number of converted sales or leads. All your marketing or traffic campaigns are worthless if your visitors aren’t converting the way you want them. It is because of this that conversion optimization is very essential. Besides social media marketing, and email marketing, search engine optimization (SEO) is another way you can enhance your digital marketing campaign. Having your website on the first page of Google will make conversions to occur. Website analytics tool will help you to determine the location your traffic is coming from. Today, more than ever, mobile internet with the swift rise of tablets and smart phones is more lucrative than desktop usage. Your digital marketing campaign should focus on mobile consumers. There are certain existing market assets you really need to consider such as paid media, earned and owned framework. Let us try to explain them one after the other. This is self-explanatory, and it is talking about any channel you spend funds to get the attention of either existing or potential buyers. This includes but not limited to native advertising (sponsored posts on various websites or blogs), paid social media posts, Google adwords and other platforms which you can pay some money in order to be visibly exposed on the social media. The money you pay varies from one social media platform to another. Some of them offer online coupon codes or discounts to their customers. So, when you subscribe to it, you will pay lesser than others who are not using the online coupon. By a simple definition, earned media refers to an exposure you have earned. This could be an exposure gotten through word-of-mouth, public relations work you have done in the past, or the customer experience you have proudly demonstrated. Earned media is the recognition your business or brand has gained as a result. Earned media can be gained through press releases, getting positive customer testimonials and friends or followers sharing your contents on social media. This means those digital assets you own such as social media profiles, website, blog contents or imagery. When we talk about owned channel, we mean those channels you have complete control over. You need to gather all you have and categorize each asset or vehicle in a spreadsheet. By so doing, you will have a clearer picture of your paid, earned and owned media. You may have to incorporate all these three channels into your digital marketing strategy, all of them are working to help you reach your goals faster than you can ever thought possible. Make your content shareable, so that others can distribute it to their personal social media profiles. This will surely increase traffic to your website or blog page. Most people have considerably said that earned media component achieve a faster result. With the help of an online coupon, you can pay small amount of money to get your content seen on social media platforms like facebook or Twitter. With this, the contents would be seen by your target audience. However, it is important to remark here that you must not use all these three. There is no need to invest in paid media if your earned and owned media are quite successful. It’s all about evaluating the right solution that is meeting your goal, and then incorporate it as part of your digital marketing strategy. If your website has hundreds or thousands of visitors that doesn’t convert then, it will completely cease to exist. 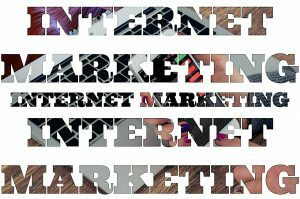 It is because of this that you need digital marketing, because it offers a wide range of methods or strategies that deliver the needed results and targeted results. Digital marketing is all about compelling the right people not just to visit your site, but to convert them into leads. This is the only way you can get the right result and keep your businesses flowing. Andy Bell is a blogger and an avid shopper. He likes to shop online and find discounts while shopping online to get the maximum savings.